We’ve rounded up some simple tips and tricks to help you get the most out of your Roland TR-8 Rhythm Performer! 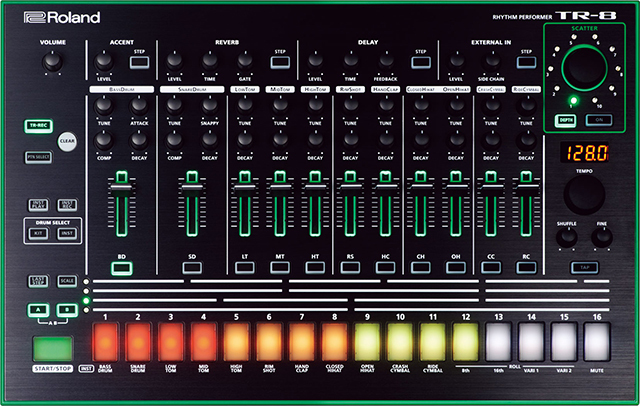 The Roland Aira TR-8 is an impressive modern reproduction of the classic TR-808 and TR-909 rhythm machines that have been influential in defining the sound of entire musical genres. The TR-8 melds the legendary sound and vibe of the legacy Roland drum machines with advanced features and functions that have been inspiring a new generation. This renowned rhythm machine has been showing up in live performances and studios around the world due to its faithful recreation of tonality and behavior, genre-defining sounds, classic effects, unprecedented live pattern manipulation, and intuitive performance controls. 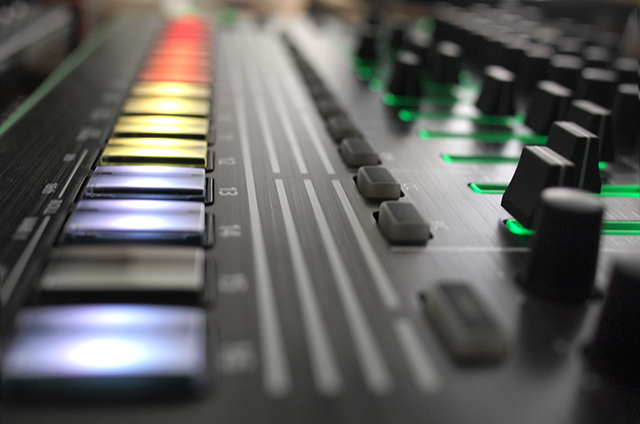 To help you delve into beat-making with the Roland TR-8 Rhythm Performer, we have rounded up a few tips to get you started. AIRA gear is intuitive and often easy to learn. However, there tend to be several features and functions that can take time to discover and master. This video is a short tutorial on the TR-8 Rhythm Performer to get you up and running quickly. The TR-8 comes loaded with two main drum kits that faithfully capture the sound and characteristics of all the sounds found on the classic TR-808 and TR-909 machines. To access the 808 and 909 kits, locate the DRUM SELECT section and press KIT. The 16-step buttons will light up in blue indicating saved kits. The first Step button accesses the 808 kit and the second Step button takes you into the 909 kit. The remaining 14 Step buttons are used to create variations of 808 and 909 kits that can be mixed and matched. Looking at the 16-step sequencer, you will see that Steps 12–15 are marked with ROLL. You have the option to either play an 8th or 16th roll or two other variations of fills in a real-time performance. To play rolls and fills, simply select INST PLAY MODE, hold down the roll or fill you want and then hit any of the eleven instruments from Steps 1-11. You can also access more than four fills/rolls in this mode. For example, you can play a 32nd roll by holding down the 8th, 16th, and VARI 1 buttons which is Steps 12, 13, and 14. Also, discover new fills by holding down different cStep button combinations. In addition, you can also create your own dynamic patterns using AUTO RESTART. To begin, hold down TAP and press the START/STOP button to reset the pattern to Step 1. Next, tap in any rhythm with the START/STOP button, and then you can play a build-up with a single push of a button. If you are in TR-REC mode, you can clear the notes that are programmed in the TR-8 by holding CLEAR while the TR-8 plays back to delete specific notes in an instrument’s sequence. In INST PLAY/REC mode you can delete entire note patterns by holding the CLEAR button and pressing one of the instrument buttons. (you can also hold the instrument button and push CLEAR). In PTN SELECT mode, you can delete entire patterns by holding a pattern button and pressing CLEAR. If you are in Drum Select INST mode, you can hold a drum sound (button) and turn the TEMPO knob left or right to pan each drum sound in the kit. Swing out your static grooves and give them some attitude with SHUFFLE! The SHUFFLE knob changes the timing of certain hits and can push certain instrument strikes ahead or behind the beat. At 12 o’clock position, the beat stays straight on the count. If you turn it clockwise, your hits move ahead of the grid whereas anti-clockwise turns move make hits occur early. You may not know, but the original TR-808 didn’t have swing or shuffle. That was introduced in the TR-909. The TR-8 gives you shuffle for both kits. Set your desired tempo using either the TAP button to tap in your desired speed or the TEMPO and FINE knobs. The LCD display indicates the speed of the beat in beats per minute (BPM). If you are in Kit Select mode, hold down the “Step” button in either the delay or reverb section. While you hold down that button you can now see which instruments are being effected as they are lit up. Press the button corresponding to the instrument that you want to turn on/off and you can choose exactly which sounds will be effected. If you are in Instrument Select mode, select Reverb Step or Delay Step mode. The step sequence buttons will light to show you different options for effects. Press the different steps to hear the different types of delay and reverb. To start this process, hold “PTN SELECT” and turn on the power. This step boots the TR-8 into “under the hood” mode. When you first boot into this mode, the TR-8 is displaying the instruments assigned to the master output, usually with individual instrument lights all lit up. If you press bank A or B button, this will show you each of the assignable outputs. To assign an instrument to one of these outputs you need to hold down button A or B while pressing each instrument that you want to send to the individual outputs. When you let go of button A or B, you will see that the instruments that are assigned to those outputs will now be dark (they are no longer sent to the master output). To dim the (very bright) lights on the TR-8, hold “PTN SELECT” and turn on the power. This step boots the TR-8 into “under the hood” mode. Next Hold “DEPTH (scatter)” and turn the “Scatter Wheel” to choose between 6 different color sets. Number 2 is a dimmed version of the original color set. To confirm your change press “START/STOP” to save. The new SCATTER function can be a lot of fun during performances. SCATTER is used to chop up your patterns in a rhythmic way to create new and exciting new variations. There are ten types of SCATTER with ten levels of DEPTH that can be used to manipulate your rhythms such as slicer effects, reverse effects, pitch, and filter effects for example. To use SCATTER, first make sure your pattern is running, adjust the SCATTER dial to 1 and hit the ON button to hear a new pattern variation. Next, press the DEPTH control and turn the SCATTER dial up to hear the effect become increasingly aggressive the closer you get to 10. To turn off the effect, hit the ON button again. Use SCATTER with caution, the more instruments you have playing, the more aggressive the effect will be and things can begin to sound out of control. It’s recommended to keep the number of instruments playing to a minimum. A couple of ways to approach SCATTER is starting with a lower DEPTH value and then add in sounds one at a time and stop before things get too wild. Timing is another thing to be aware of when using SCATTER. Try not to keep the effect running for long periods of time. Practice turning on SCATTER for small durations such as from Step 11 to Step 16. The timing of each step will give a different effect. Lastly, try playing with the SCATTER and DEPTH simultaneously with various moves to create some unique effects on-the-fly. To turn off the screensaver function (this is the flashing lights that run back and forth across the TR-8): Turn off the TR-8. Hold the PTN SELECT button while you turn on the device. Next, hold the TAP button. The led display above the knob will probably say 5 (meaning 5 minutes). You can turn this knob to the right to increase the wait time before the lights flash, or you can turn the knob all the way left until the screen says “OFF.” Hit the START / STOP button to save this setting. The TR-8 should now return to normal with the screen saver turned off. One of the groundbreaking features of the TR-8 is the ability to record audio (TR-8 sounds AND inputs) over USB with 14 channels of sound. With a Mac computer, you can create an “Aggregate Device” in your Audio MIDI Setup application which will allow you to use the TR-8 inputs AND your audio interface at the same time. The one shortcoming of this setup is that both audio interfaces must run at the same (exact) sample rate. Frustratingly, the TR-8 only runs at 96kHz, which means you must use an interface that supports this sample rate. My Apogee One, for example, only runs at 44.1 or 48, so I had to use the standard 1/8th-inch output on the MacBook Air (which does support 96kHz sample rate). If you want to try this method for recording, Roland offers a very nicely created how-to for setting up the TR-8 as an aggregate device on their website here. Check Roland’s website for new system updates here. To install, you must unplug the TR-8 USB from your computer and then power down the unit. Next, hold down pad one on the TR-8 and turn on the instrument. Plug the USB back into your computer, and the TR-8 should show up as a drive on your machine. Drag or copy the TR8_xxx.bin file to the TR-8 drive and allow the file to copy. When it is finished, eject the drive, unplug the USB cable, and press pad two on the TR-8 to initiate the update. You can watch progress on the Scatter knob lights. When the update is complete, all lights (instrument and steps) will blink. Turn off the TR-8 and restart. Miles from Sonic Sense Pro Audio takes us through some of the key hidden TR -8 features in addition to explaining how to work with multiple outputs, panning, assignable effects, and assignable MIDI. Check out Roland’s website for additional tips and knowledge-base help here.